Dental Crown Haverhill MA | A dental crown is a common dental restoration procedure. Teeth are likely to need a dental crown after undergoing a root canal or as part of restoring a damaged or missing tooth. 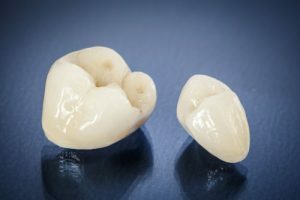 Thanks to modern technology, dental crowns have become more natural-looking than ever before. In addition, they offer many benefits aside from aesthetics. Learn more about dental crowns below and schedule a consultation today. Dental crowns are tooth-like caps that appear and function like natural teeth. They are used to protect weak and damaged teeth. Also, dental crowns replace missing teeth when used with dental implants and bridges. Some patients may also be recommended for a dental crown to correct a tooth for cosmetic reasons. Moreover, dental crowns help patients to chew better and speak clearer while improving their smile. Each procedure may vary. In general, the affected tooth is shaved to receive the dental crown. Next, mouth impressions are taken and sent to a dental laboratory that will custom make the crown. During this wait period, the patient receives a temporary crown. Later, the permanent crown is attached using a special cement. The dentist will also advise the patient on how to care for the dental crown. This includes proper dental hygiene and avoiding hard food. With proper care, dental crowns can last up to 15 years. 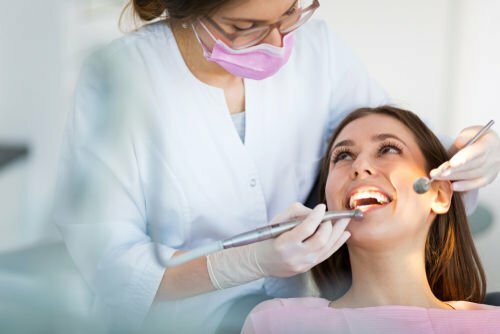 Dental Crown Haverhill MA | Your smile is important to us. We encourage everyone to schedule an exam and consultation to learn how to improve their oral health. So, speak with our dental team today. Call (978) 373-1231 or book online. Also, you may visit us at 209 Summer St. Ste. 1 Haverhill, MA 01830.